Getting parcels ready to post is sometimes like playing 'Twister'... without the colored circles. And, at my 'maturing' age, not only is it not a 'pretty' sight, it can 'bring on' the 'owies'. Arrived, tested and I am 'pleased as punch'! No longer do I have to use an elbow or leg or foot or chin to hold the paper together while I am reaching for the tape. No longer do I have pieces of tape hanging from my chinny-chin-chin just so they are 'within reach' when I do get ready to 'slap' the tape on the package. Thinkin' 'bout listing The Wrapper's Assistant on BoB. Guys 'n Gals.... whatchya think:confused:. That is a nifty idea thank you for sharing! I have a wrappers assistant.......my Good Wife!!!! I've seen a gadget which I'll try to describe as I cannot seem to find a pic of one. More or less gun shaped with a roll of tape at the back end. There is a little piece of tape sticking out the front (about 1cm), sticky side down. You stick this little bit of tape to whatever you are wrapping and pull the "gun" along the two pieces of whatever you wish to stick together, tape gets pulled out and a little wheel above the tape presses it down. 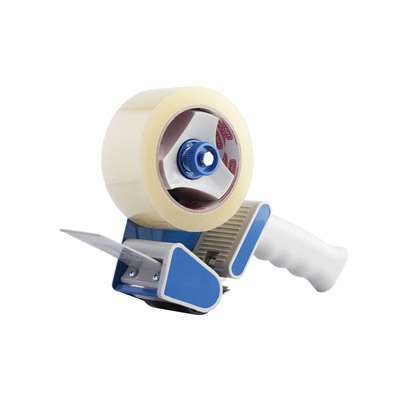 Once you reach the end of the "run" you pull the "trigger", the tape gets neatly snipped off and again leaves a bit sticking out, ready for the next run. Found it!! Looks similar to this. Several companies manufacture them, or similar. In your neck of the woods Not1CentMore, 3M might be a good start. Retail in SA for about R60. The one you've got also looks pretty nifty though! Thank-you. I have two of these. One for clear packaging tape and one for brown packaging tape. Come in quite handy for when it is time to put all the way around a package. The little 'gizmo' is great for narrow tape when I am 'hooking together' before the packaging tape. 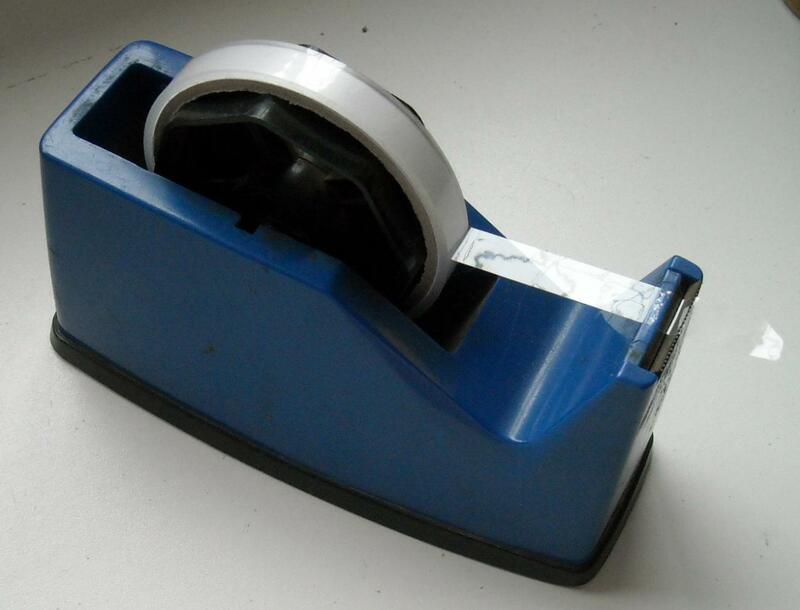 :huh: I've seen one for narrow tape in SA also, looked pretty usefull, but I get your point! Anyhow, how's the hunt for the pie winner going? The 'big uns' (clear/brown tape) take both hands, a foot and a 'duh' expression on the face. The 'gizmo' just takes a little 'yank'. Each does it's 'own thing'. This game was easy so not a lot of players, but.... pie is ready to ship AND I have something 'up my sleeve'. Tomorrow, ya'all will find out what it is.